You're always ready to roll with the Mega Runner from Xyron! This handy, ergonomic tool accurately dispenses a ½" wide strip of acid-free, permanent adhesive in a dot-matrix pattern, ideal for arts and crafts projects of all types. The cartridge contains 100 feet of adhesive. The Mega Runner is lightweight, easy to use, and features a cap that protects the adhesive when not in use. Refill cartridges (available separately) pop in easily — simply open the case, remove the used cartridge, insert a new one, and you're ready to roll! 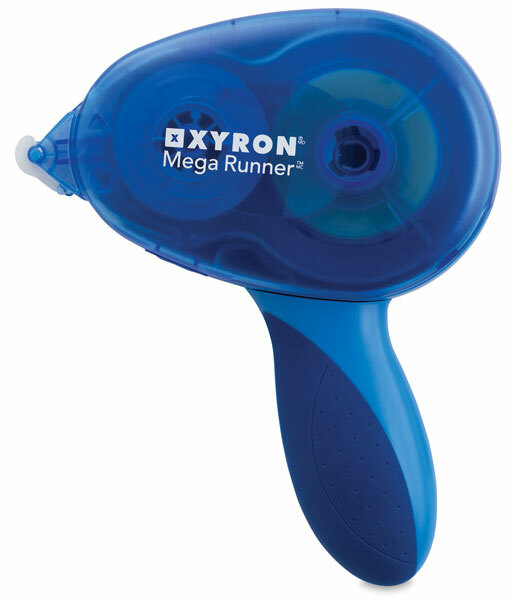 ® Xyron is a registered trademark.™ Mega Runner is a trademark.